Milltex is pleased to confirm its participation in the ICE (International Converting Exhibition) 2019, which will take place at the Trade Fair Center in Munich, Germany, from March 12th to 14th, 2019. Our experts will be pleased to welcome you at our stand 1050, in hall A5. 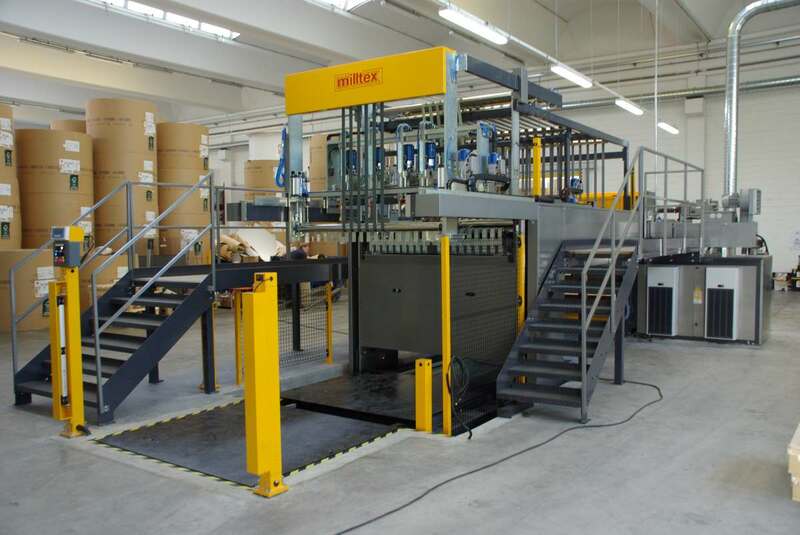 It is precisely the structure of the request linked to the formats required to working with new generation printers that is one of the main consequences that the digital impact, with the automation of industrial processes, has had on the world of machinery for paper manufacturing. But not only that, new technologies have enabled an improvement in maintenance and assistance services. «Digitalisationhas given us the opportunity to offer a better support service» explains the manager, «in fact, all machines now have equipment which can be connected to the internet in order to provide a remote diagnostic service and support. We have networked the machinery with the company management and we can supply production data and receive information on the machine settings directly from management. In addition, along with the certification requirements of the industry 4.0, the data that we take from the cut product and from the barcode of the reel being processed, which is then sent to management, are inspected using cross-checking systems to make them secure, reliable and ensure maximum traceability of the finished product. In confirmation of which, we have already got certificates for two pieces of machinery, whilst we have others about to be certified».